Now we can set about reforesting the logging from last fall. We'll begin planting on Sunday. I've set up a Facebook event to gather together a volunteer crew. If you'd like to help, visit the Facebook page or send me a message. Sequoia Sempervirens, or Coast Redwood, are ideally suited for the temperate rainforests of the Pacific Northwest, and are believed to have extended in range to British Columbia prior to the last Ice Age. Join us in an exciting reforestation project at Ahimsa Sanctuary on the Mary's Peak Watershed. 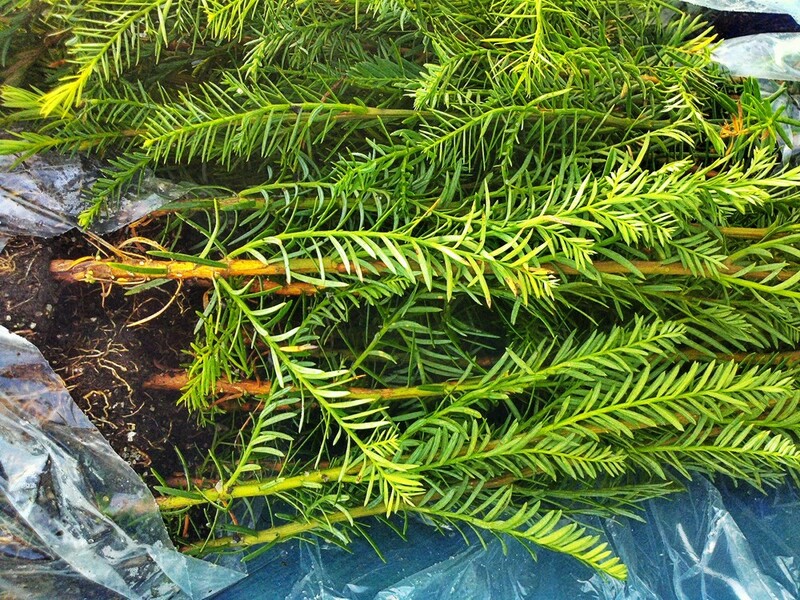 We have received 1000 redwood seedlings and will be planting starting this Sunday. We are seeking volunteers who would like experience in planting and learning about permaculture and sustainable forestry. Dress for rain, and bring gloves and boots ready for mud. Bring a shovel or planting tool (for the experienced volunteers, please bring your hoedads!) At the end of each planting day we will celebrate with a pizza party at FireWorks Restaurant. If you want to help plant, please message Ocean and let us know your availability. If you have friends who want to help, please spread the word!